I have really missed doing Friday Finds over the last couple of weeks as it is definitely my favourite post of the week. I thought as it is Halloween tomorrow, I needed to include a spooky book that I found around the blogging world. I found this one over Kim's site Page After Page. I love the fact that this is a really old childhood favourite of many that has finally been released again after 30 years. It reminds me a little of a book called The Haunting of Cassie Palmer which I read as a child. Emily was a selfish, willful, hateful child who died before her thirteenth birthday. But that was a long time ago. 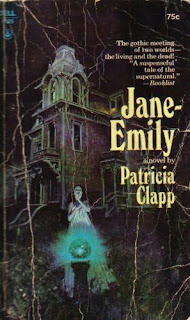 Jane is nine years old and an orphan when she and her young Aunt Louisa come to spend the summer at Jane's grandmother's house, a large, mysterious mansion in Massachusetts. Then one day . . . Jane stares into a reflecting ball in the garden - and the face that looks back at her is not her own. Many years earlier, a child of rage and malevolence lived in this place. And she never left. Now Emily has dark plans for little Jane - a blood-chilling purpose that Louisa, just a girl herself, must battle with all her heart, soul, and spirit . . . or she will lose her innocent, helpless niece forever. One of the most adored ghost stories of all time is available again after thirty years - to thrill and chill a new generation! 2) Boneshaker by Cherie Priest. At the start of the Civil War, a Russian mining company commissions a great machine to pave the way from Seattle to Alaska and speed up the gold rush that is beating a path to the frozen north. Inventor Leviticus Blue creates the machine, but on its first test run it malfunctions, decimating Seattle s banking district and uncovering a vein of Blight Gas that turns everyone who breathes it into the living dead. Sixteen years later Briar, Blue s widow, lives in the poor neighborhood outside the wall that s been built around the uninhabitable city. Life is tough with a ruined reputation, but she and her teenage son Ezekiel are surviving until Zeke impetuously decides that he must reclaim his father s name from the clutches of history. I found this one over at Vasilly's site, 1330v. I love the cover and the story intrigues me. With her passion for cooking, 11-year-old Eleanor, aka Groovy, dreams of becoming a professional chef. But her father, a compulsive gambler, bets away her inheritance from her great-grandmother, money she had planned to use for culinary school. At first Groovy is as angry as her mother, who has Groovy's father arrested, yet during the next several weeks she learns that broken dreams, and broken families, can be rebuilt. Debut novelist Fitzmaurice creates a sympathetic heroine in Groovy and an interesting sidekick in Frankie, whose estranged mother makes a sudden appearance shortly after Groovy's father is jailed. So there are my book choices for the week. What did you find that you would like to read? 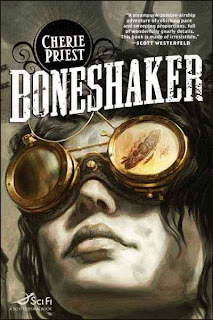 BONESHAKER has been in my wish list ever since I read about it in Publishers Weekly's blog. These are all great books, Viv! 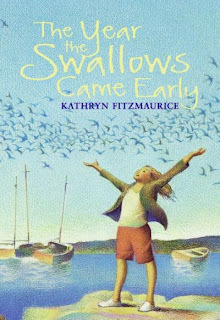 The Swallow book interests me.. I'm dying to read Boneshaker as well! Steampunk, hooray! The first two look kind of creepy, but I want to read The Year the Swallows Came Early too. I added Boneshaker to my list a few weeks ago. Thanks for adding the Fitzmaurice book to your TBR list. I hope you enjoy it. The Year the Swallows Came Early looks great! These look good. You have a gorgeous blog! Great finds Viv. Very cool that you found an old childhood fav re-released. Chris did make The Boneshaker sound good! Thanks for that post, some interesting books there - Jane Emily sounds particularly good. Hі thеre eνeryone, it's my first pay a visit at this website, and article is genuinely fruitful for me, keep up posting these content.